We'll prepare any salad without meat. Just ask! (1010/540 cal) Grilled, 100% antibiotic-free chicken breast, grape tomatoes, sliced avocado, cheddar, Asiago, bacon on mixed salad greens. (780/430 cal) Grilled, 100% antibiotic-free chicken breast, organic field greens, grapes, feta, nuts, dried cranberries, raisins, pumpkin seeds, organic apples. Grilled, 100% antibiotic-free chicken breast, mixed salad greens, cheddar, grape tomatoes, chopped avocado, roasted corn and black bean mix, served with NEW jalepeño ranch dressing. (930/470 cal) Ham, roasted turkey breast, Asiago, cheddar, grape tomatoes, kalamata olives, hard-boiled eggs on mixed salad greens. (940/480 cal) Grilled, 100% antibiotic-free chicken breast, romaine, Asiago, croutons served with creamy Caesar dressing and toasted herb focaccia bread. (1010/680 cal) Shredded lettuce, blue corn chips, cheddar, sour cream, guacamole, pico de gallo, Southwest spices, side of salsa, with Chili or Southwest Chicken Chili. Veggie Option (1140/790) Made with roasted corn and black bean mix. Indulge all you like! Fresh organics, dozens of toppings, real cheeses, fresh-made sides, and famous mini muffins. famous chicken salad with almonds and pineapple, tuna salad with eggs, nitrite-free ham, roasted turkey breast, or smoked turkey breast. *Substitute wild salmon (220 cal) for any meat. Experience one of our best-loved sandwiches − a New Orleans Muffaletta. In one bite, you taste our Italian heritage and the party spirit of New Orleans! Grilled, crusty Muffaletta bread is spread to the edges with our family-recipe olive mix, and creamy provolone is melted over layers of your choice of premium meats. (1610/920 cal) Cheddar, sour cream, butter, bacon, green onions on a baked potato. (1260/800 cal) Grilled, 100% antibiotic-free chicken breast, cheddar, sour cream, butter, pico de gallo, Southwest spices on a baked potato. (1410/830 cal) Chopped pit-smoked beef brisket, barbecue sauce, cheddar, butter on a baked potato. (1120 cal) Meatballs, Italian red sauce, provolone, toasted on New Orleans French bread. (610 cal) Grilled, 100% antibiotic-free chicken breast, sautéed mushrooms, cheddar, green onions, pico de gallo, Southwest spices, ranch dressing, toasted New Orleans French bread. (450 cal) Dedicated to our Founder's Dad. Roasted turkey breast, Asiago, roasted tomatoes, pesto aioli, toasted herb focaccia. (670 cal) Grilled, 100% antibiotic-free chicken breast, bacon, Swiss, guacamole, tomato. Thousand Island dressing, grilled multigrain wheat. (470 cal) Roasted turkey breast, sliced avocado, jalapeño pepper jack, red onions, Roma tomatoes, leafy lettuce, stone-ground mustard, on a toasted onion bun. (630 cal) Bacon, leafy lettuce, Roma tomatoes, fresh-cracked egg, mayo, avocado slices, toasted multigrain wheat. (470 cal) Nitrite-free ham, salami, Italian peppers, Asiago, shredded lettuce, Roma tomatoes, stone-ground mustard, Italian dressing, toasted New Orleans French bread. (610 cal) Made with our all-new, grilled, whole chicken breast fillet, chipotle aioli, leafy lettuce, tomato, on a toasted organic ancient grain bun. Served with chips or baked chips and a pickle. A Limited Time Offer! (700 cal) Smoked turkey breast, ham, bacon, Swiss, cheddar, leafy lettuce, tomato, honey mustard, on a toasted croissant. (810 cal) Ham, roasted turkey breast, bacon, cheddar, Swiss, leafy lettuce, tomato, mayo, on toasted multigrain wheat. (740 cal) Fresh mozzarella, organic spinach, Roma tomatoes, pesto aioli, herb focaccia. (740 cal) Smoked turkey breast, bacon, jalapeño pepper jack, guacamole, Roma tomatoes, Thousand Island dressing. Pressed within olive oil-basted New Orleans French bread. (700 cal) Grilled, 100% antibiotic-free chicken breast, provolone, pesto aioli, Roma tomatoes, organic spinach, New Orleans French bread. (500-1040 cal) 1/2 pound of hot pastrami. Your choice of bread, topped the way you like it. (350-750 cal) 1/2 pound of hot corned beef. Your choice of bread, topped the way you like it. (840/680 cal) 1/2 pound of hot roast beef, provolone, mayo, toasted on New Orleans French bread. Served with a cup of au jus. (670 cal) Sirloin steak cooked medium, spicy piquillo pepper relish, provolone, shredded lettuce, Roma tomato, mayo, toasted New Orleans French bread. (590-1070 cal) 1/2 pound of hot corned beef or pastrami, Swiss, sauerkraut, Thousand Island dressing, grilled on rye. (1100/680 cal) 3/4 pound combo of hot corned beef and pastrami, Swiss on toasted rye. (950/670 cal) 1/2 pound of pit-smoked beef brisket, cheddar, red onions, barbecue sauce, toasted New Orleans French bread. (1030 cal) Hot pastrami, roasted turkey breast, Swiss, coleslaw, Thousand Island dressing, on toasted rye. Hot roast beef, American cheese, Thousand Island dressing, leafy lettuce, tomato, on a toasted onion bun. Pick your meat, name your bread, select your spreads and dress it up. You also decide the size. For kids 12 and under. Dine-in or to-go. (640 cal) Made with grilled, 100% antibiotic-free chicken breast. (540 cal) Butter, bacon, cheddar. (120-550 cal) Choice of 4: 1 fruit, hard boiled egg, cucumbers, organic carrots, grape tomatoes, broccoli, zucchini sticks, or sliced cheddar. Served with roasted red pepper hummus or ranch dressing. (170 cal) Gluten-free and 100% antibiotic-free chicken breast. PARENTS NOTE: If you have gluten-sensitive kids, please tell your order taker. (480/510 cal) Bread choice: multigrain wheat or country white. (450/480 cal) Organic peanut butter and organic jelly on multigrain wheat or country white. (240-410 cal) Nitrite-free ham, American cheese on organic wheat wrap, multigrain wheat or country white. (250-400 cal) Nitrite-free turkey breast, American cheese, on organic wheat wrap, multigrain wheat or country white. No processed MSG, dyes or high-fructose corn syrup! Free refills with fountain drinks and fresh-brewed tea. 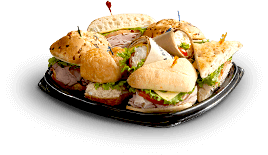 NOTES: This menu and information are provided by Analytical Food Laboratories (AFL), Grand Prairie, TX (an independent testing facility contracted by Deli Management, Inc. d/b/a Jason’s Deli), combined with the ingredient and allergen data from our suppliers. Jason’s Deli and AFL assume no responsibility for its use and information which has not been verified by Jason’s Deli. Every effort is made to keep this information current. Factors including regional suppliers, recipe revisions and others may require ingredient changes. Serving sizes as described in the nutritional information may vary due to many offerings being individually prepared and the use of differing serving containers. Limited time offers, test or regional items have not been included in our menu. Denotes Gluten-Sensitive Menu item. Jason’s Deli is not a gluten-free environment. If you are gluten-sensitive, please request gluten-free preparation when you order. Please be advised that all of our foods are prepared in a common kitchen and that Jason’s Deli cannot guarantee that cross-contact with other gluten-containing products will not occur. As a result, we cannot recommend this for persons with Celiac Disease. Our gluten-free offerings are designed for those with gluten sensitivities or those who prefer to avoid gluten for nutritional reasons. Ask for our Gluten-Sensitive Menu. VDenotes vegetarian items. GSDenotes Gluten-Sensitive Menu item. Jason's Deli is not a gluten-free environment. Please notify your Order Taker if you are gluten-sensitive. Ask for our detailed Gluten-Sensitive Menu. A 2,000 calorie daily diet is used as the basis for general nutrition advice; however, individual needs may vary. Additional nutrition information available upon request and at jasonsdeli.com. *Consuming raw or undercooked meats, poultry, seafood, shellfish, or eggs may result in an increased risk for foodborne illness.